Discussion of the two Kingdom Hearts characters, Sora and Kairi, and their relationship. Discussion for the clumsy, yet lovable KH character, Sora. Discussion for the sweet and kind KH character, Kairi. 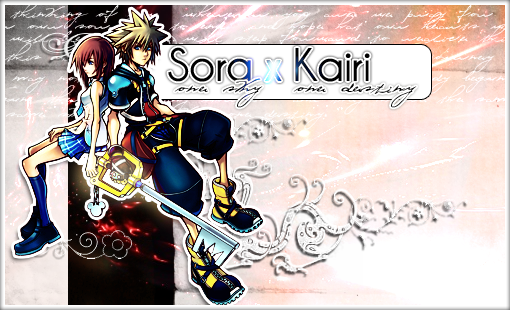 Other pairings unrelated to Sora/Kairi to be discussed here. General KH discussion is to be held here. Discussion for anything that doesn't belong in any other category. Discussion for manga and anime. Discussion for music is here. Discussion relating to Television and Movies is to be discussed here.